Dear candidates… Today Current affairs of 25th August 2018 we mentioned here in this web page. 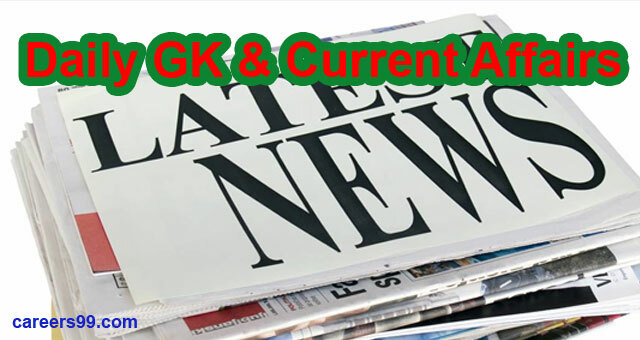 People who are preparing for the upcoming competitive examinations for those citizens we are helping to you to guide the Daily GK Current Affairs of 25th August 2018. In this website you can the complete details of current affairs and daily events in the world etc and so on. Citizens watch this web page and get the current affairs every day. Try to attempt all the bits. You may also check the yesterday’s current affairs also. The 2nd Protocol amending comprehensive economic corporation agreement India & Singapore signed second protocol will boost two countries. Both the states agreed to expand tariff concessions, customise the rules of origin, rationalise product specific rules and include the verification. Australia’s new Prime Minister Scott Morrison has become a PM after winning a Liberal party leadership vote. He won an internal ballot 45-40 over peter Dutton. Union Railway Minister Piyush Goyal flagged off Kathgodam-Dehradun Naini-Doon Janshatabdi Expressvia video conferencing from Rail Bhavan. The Defence Acquisition Council (DAC), chaired by Defence Minister Smt Nirmala Sitharaman accorded approval for procurement for the Services amounting to approximately Rs. 46,000 crores. The DAC in a landmark decision approved procurement of 111 Utility Helicopters for the Indian Navy at a cost of over Rs. 21,000 crores. The Shanghai Cooperation Organization (SCO) Peace Mission 2018 exercise started at Chebarkul, Russia. In the exercise, the Russian Army has the major participation of 1,700 personnel followed by China with 700 and India with 200 personnel. KCR announced the free power units for SC & ST families. The Telangana sate has increased so in earlier for SC & ST free power units was 50 and now the Telangana State government has increased to 101 units. The government shall pay the charges to the distributary agencies. Indian women’s team fast bowler Jhulan Goswami announced her retirement from T20 Cricket Internationals. The veteran player played 68 T20 Internationals and took 56 wickets at an economy rate of 5.45. The 35-year-old will only play ODIs. In ODIs, she is the world’s highest wicket-taker with 200 scalps from 169 games. Australian spin legend Shane Warne’s memoir ‘No Spin: My Autobiography’ will be released on 4th October 2018. “No Spin” is the true story behind the headlines, in Warne’s own voice.